For close to 15 years, Dennis Calvero, the founder of Crooks & Castles, built his empire from the bottom up. 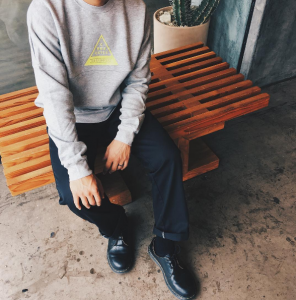 The California clothing line is one of the few who managed to go from an indie brand to being a globally-recognized logo, worn by the biggest rappers, who have personally paid homage to Calvero for his impeccable taste in threads. This weekend, Crooks will be one of the brands representing at Green Label’s inaugural Fairfax Block Party, which will include giveaways from the brand, as well as art, games, and food. We asked Calvero about his style dos and don’ts for the upcoming season, and keep an eye out for his picks in Green Label’s Green List: The 100 Best Underground Brands in America, dropping on Friday 10/14. Attending Green Label’s Fairfax Block Party, what would you recommend wearing? I usually dress based on comfort, first and foremost. If I know that I’ll be standing for a long period of time, then some Ultra Boost would be perfect. I only wear white shoes. Then, whatever the weather is that day—say warm, I’ll wear shorts. Fear of God sweat shorts are my staple at the moment. I’ve been on a longsleeve-graphic-tee-tip lately. 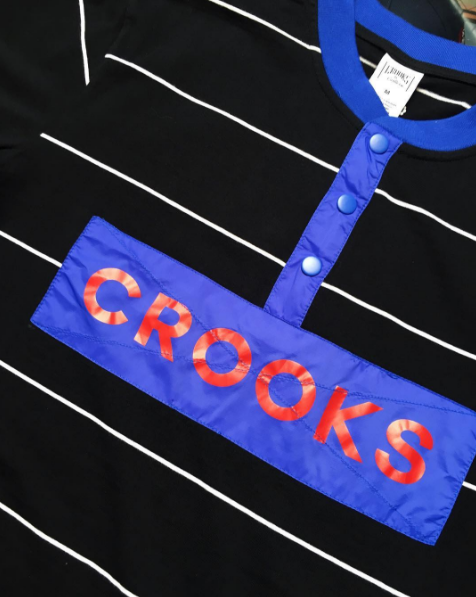 Crooks recently launched some new ones, so I’ll definitely be reppin’. What are some fashion do’s and don’ts for the fall and winter seasons? Explain in detail? I’m not big on telling people what and what not to wear. I think personal style regardless of taste is a form of expression and says a lot about each person. For fall, I like having a good lightweight shell, [although] being in LA it doesn’t start cooling down till After Halloween. I prefer Arcteryx or anyone that Supreme has done in collaboration with Stone Island. In the winter, when it gets its coldest, I like layering: a hoody, an overcoat, maybe a beanie [with] white shoes. 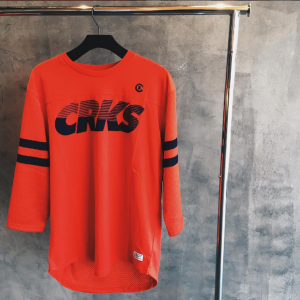 What are some other brands with the dopest collections for the upcoming season and why? Lately, I’ve been following this Japanese outdoor brand called ALK Phenix. Very non-traditional approach to outerwear and outdoor apparel. I love Patagonia and all they do. Stone Island, of course. They engineer their own fabrics and stay within their own guidelines. It’s all about heritage for me! If you could make the biggest trend prediction that you see happening, what would it be and why? I see a trend in brands taking a more tech approach. It seems with how fast technology is growing, it’s only a matter of time till it becomes integrated into the things we wear. New technology on fabrics that have better resistance to nature. [And] mosquito-repellant fabric, since they seem to host and pass on the worst of diseases.